I have on-the-job experience with a surprising number of tasks that no one needs any more. I prefer, however, not to think of myself as a specialist in the use of discarded, broken tools, but as an individual seasoned in legacy technology. The sad part is after the excitement dies down, everybody starts doing mental arithmetic. I know that when they’re done, I’m not going to be invited to any of the parties with the cool kids. I am, however, not quite as old as my experiences indicate, because several can be traced to my years working for the late Leonard Richman, who used a lot of outmoded stuff because he didn’t like to throw anything away. He owned a string of old Chicago hotels, which we converted into apartment buildings. 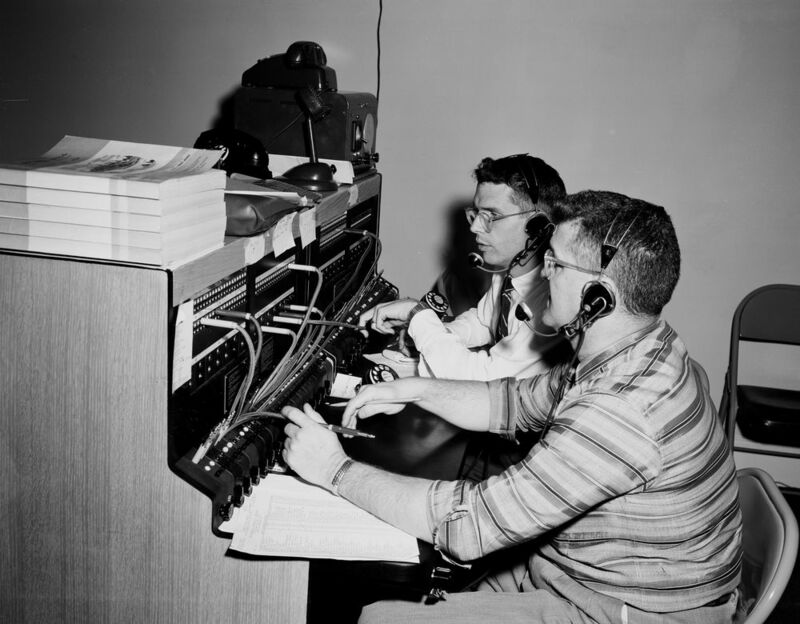 Even when there were no transient residents left, he tried to hang on to the switchboards. They were a tool of personal service, as well as a way to keep the front desk clerks from falling asleep. Anybody who was not a complete Neanderthal got a turn on a switchboard. I liked the chance it gave me to get paid for doing my homework, which is the only way to do homework, if you ask me. It was often too busy for me to get any reading done. Any rush was made more challenging because tenants had to pay for outgoing long-distance calls. That required calling Ma Bell and asking for time and charges, which I’d save for the customer’s bill. If I forgot, and put through another long-distance call, the money was gone forever. Unless they took it out of my check. I remember an extended, frenetic rush ending with one cord still plugged in, but I couldn’t remember why. No little green light indicated somebody on the line. So I yanked it out and thought about lunch. I didn’t get fired. There is only so much you can demand from somebody making $2 an hour. The hotel company also made me an elevator operator. That job’s attraction was running at top speed, then decelerating so smoothly that the car gently came to rest with its floor exactly even with the floor the passengers were going to get out on. There were some super-fast elevators that you could terrify downward-riding passengers with, before letting them off in the lobby perfectly, but with their hair standing straight up. Mr. Richman also retained several building incinerators, which didn’t take much skill to operate, as long as you remembered not to put aerosol cans in them. Big badaboom. If that happened when you had the steel door open, good luck. The incinerator rooms were rarely larger than a closet, and there was no room to hide. In one building, an old drunk named Leonard had a job where all he had to do was collect garbage and burn it. He would occasionally fall asleep in the warm little space in front of the incinerator. I found him there one day just slightly on fire. Incinerators, of course, aren’t a thing anymore. Neither is radio-dispatching of taxicabs, a task almost entirely done by computer now. But I used to do it with a microphone and a foot pedal. In those days, you often had to know how to count blocks to figure out who was closest to an order. The counting had to be done in seconds so you wouldn’t get backed up. But you had to be right. Otherwise, the drivers might do bad things to you, such as sitting on their microphone buttons so you couldn’t hear the other drivers. Or setting your car on fire. Aside from block counting, the key responsibility, especially at night, was deciding whether people who called for cabs were customers or criminals. This often involved calling them back, or checking their names in reverse directories, or remembering what had happened at certain addresses in the past. I take more pride in my skill as a dispatcher than anything else I’ve done. I also accept that, if all my colleagues from every other job were assembled together, they would not outnumber the drivers who think I stink. 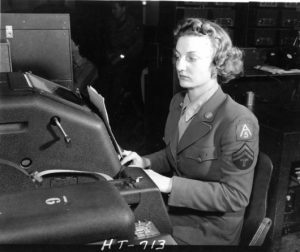 On my first full-time newspaper-reporting job, I relayed my stories via Teletype, the same machinery that my mother had used to send out orders in the World War II Navy, 40 years before. The hulking antique had its own quarters about the size of Leonard’s sleeping room. It had a keyboard, which sent everything in capital letters. As fun as that could be, there was more. After you finished each line the device would send it. No going back. 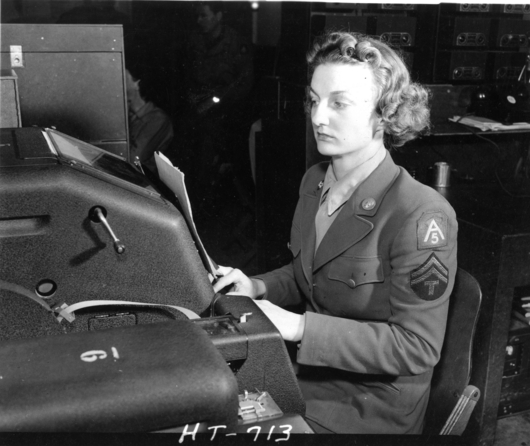 Before I ever saw a Teletype machine, I worked nights with typists who almost never make a mistake. These fellows were Intertype operators, typing lines that were automatically set in molten lead. That’s the “hot type” you may have heard of. It was one of my jobs to coat the steel space bars that slotted between the lines with powdered graphite so they wouldn’t stick. In the same room as the Intertype machines, we had a huge machine I called the “Mergenthaler cold type machine.” It was a typesetting computer that didn’t need to melt lead. In fact, it couldn’t take heat. It sat in a big glass box that enclosed its dedicated air-conditioning system. It could set type in as many fancy fonts as you physically had stored on a shelf in a big film can. No Internet yet. The fonts were expensive, but all the typesetting companies shared them with each other. My favorite job was to walk the film cans around the Loop in the wee hours of the morning, among the people who best knew how to spend that time of night. Since mistakes were not a problem for the cold-type machine, you didn’t need an $18-an-hour union typographer to operate it. I was inspired to write about just a few of my outmoded skills because I’ve been reading up on artificial intelligence lately. I’ve found experts who think that before long, most of those still working will be either skilled tradespeople or top administrators. Those who write and do graphic art work and work middle management are pretty much doomed, they say. Some of the computer capability is actually already here, in limited use. The rest, they say, is only a matter of time, and not much time. Considering the current sad state of human prose on thousands of Internet sites, many readers will be relieved when computer writing is ready. Every sentence will probably be written in perfect grammar and syntax. Objectivity will be strictly enforced, though it may be a weird kind of corporate objectivity that will take some getting used to. Hemingway and Balzac and Kipling will write again. Their new novels will have their style down perfectly, all written with a beautiful artificial soul.